Match day 3 for the Premier League is coming up this weekend and there are plenty of decent matches to watch out for. I would again give Manchester City and Arsenal favorites status for their matches, even with Arsenal playing away from home. Chelsea will also be playing away and going up against Everton in what could be an interesting match. Tottenham v Liverpool on Sunday is also looking quite interesting with both teams playing fairly well lately, even though Tottenham do have the better record. Spurs have benefitted from a somewhat lighter opponent load, but have also had to deal with Europa League matches. Elsewhere Swansea, West Ham and Newcastle all play at home in matches that could be interesting. Read on for my predictions. 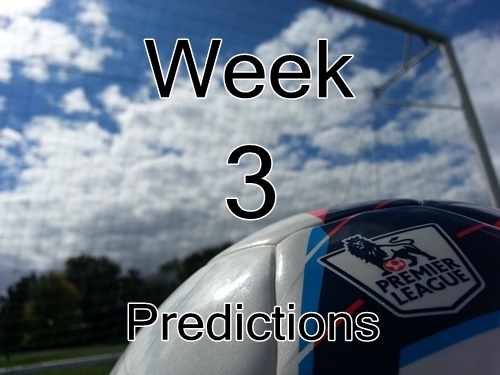 Once again I will be following up my predictions with quick pick previews later on in the week, so stay tuned for that!